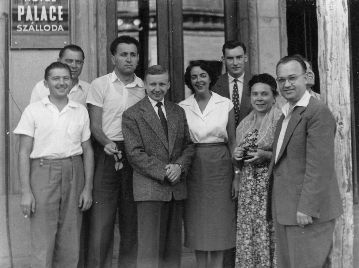 Oldřich Číp, Horst Scholz and Jeff White, photo: archive of HFCC Oldřich was involved in radio since he was a child - first as an amateur radio hobbyist and later as a staff member of Czechoslovak and then Czech Radio in the international broadcasting departments. A college graduate in the field of Humanities, he spent most of his working life as a frequency manager and schedule planner. For a number of years he hosted a DX program on Radio Prague under the pen name Peter Skala. After the end of the Cold War, he believed that broadcasters from both sides of the conflict should come together and develop a new system of planning and coordination for shortwave broadcasting. This led to the establishment of the HFCC in 1991. Oldřich was Chairman of the HFCC until 2015. Since then, he was a Vice Chairman of the group. Oldřich lived in Prague, although he frequently spent time in his country house, where he enjoyed woodworking, guitar and country music, vintage graphics, photography and time with his family. His son Vladislav said he spent his last day there: "He enjoyed a quiet evening in the country house, with our families, all four grandchildren around, no symptoms of anything bad coming. All of a sudden, he suffered probably a heart attack or stroke. An ambulance arrived immediately but he died a few hours later." 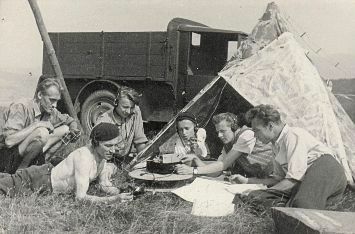 Oldřich Číp (3rd from the left) at a HAM radio field day in 1950s, photo: archive of HFCC Oldřich was married with two adult sons, Oldřich Jr. and Vladislav. Vladislav is the HFCC Secretary who manages the day-to-day operations of the organization. From 1953 until 1997 Oldřich was an employee of Czechoslovak and later Czech Radio in Prague. He worked as a technical consultant for Czech Radio from 1998 to 2010. He specialized in planning schedules and frequencies, international coordination and distribution of shortwave radio programs for foreign countries. 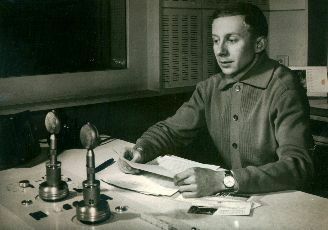 Beginning in 1959 and for more than 25 years, Oldřich produced a weekly English-language program "Radio Prague Calling All Radio Hobbyists," using the nom de plume Peter Skala. 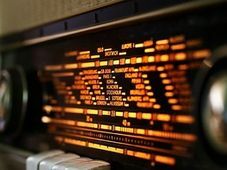 In the program, he answered questions from shortwave listeners in many countries and covered a variety of scientific and other topics from the radio industry. Oldřich Číp in a studio of Radio Prague, photo: archive of HFCC During the Soviet occupation of Czechoslovakia in 1968, Oldřich used his technical expertise to aid the "free Czechoslovak Radio," putting himself in danger in an effort to provide factual news and information about the events taking place. 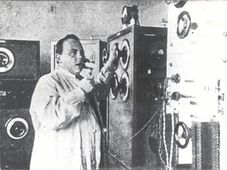 Thanks to the large number of smaller facilities of Czechoslovak Radio scattered all over Prague and complicated infrastructure that connected them, they were able to continue broadcasting for quite some time. In the period of reforms around the year 1968, he established secret contacts with his colleagues from Western radio stations. He re-established the contacts after the fall of communism and started an initiative to eliminate interference on shortwave. He became the Chairman of the HFCC, which has continued to meet twice each year in different parts of the world for shortwave stations to coordinate their frequency schedules for the coming broadcast season, thus eliminating interference before each season begins. The principles of international coordination were incorporated into the ITU's International Radio Regulations during the 1997 World Radio Conference. Oldřich Číp (4th from the left) at a coordination meeting of the Eastern Bloc in Hungary, photo: archive of HFCC Oldřich was also an adviser to the Government of the Czechoslovak Republic in the preparation of the first Radio and Television Broadcasting Act after 1990, as well as a member of several EBU and ITU radiocommunication working groups. At the HFCC, he spearheaded the International Radio for Disaster Relief project whereby shortwave stations have allocated specific frequencies in each band for the transmission of emergency information in the event of natural disasters around the world. 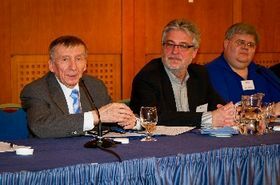 Jeff White, Oldřich's successor as HFCC Chairman, said: "The shortwave broadcasting and listening communities have lost one of our most important proponents. The contributions of Oldřich over the years are simply unequalled. He was a humble man, but people in this industry realized the importance of his work. 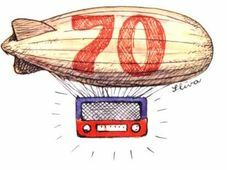 And he has left us a lasting legacy - an organization which has largely eliminated interference on the shortwave bands, and it has enabled stations to use less power to reach their target areas with a good signal. For that, he will always be remembered."